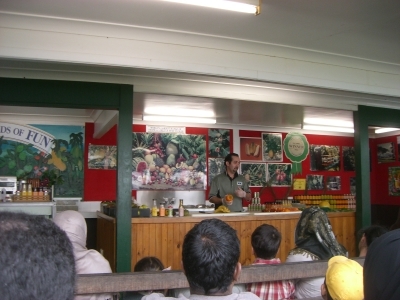 Anyways, Tropical Fruit World is a 10 acre working farm growing all manner of tropical fruits. Quite interesting. 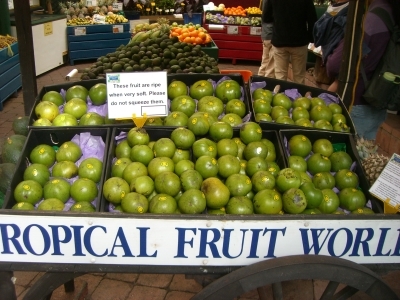 I didn’t know Queensland weather is condusive for tropical fruits. I’m not sure if the avacado can be considered a tropical fruit, but it is one of the main crops for this farm. 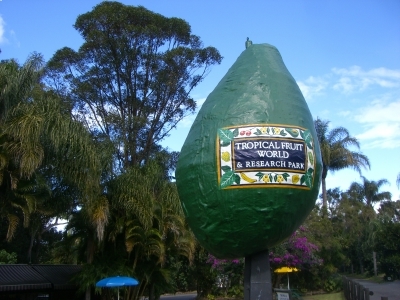 They even had a plaster avacado made as a huge signage, and christined it the “Big Avacado”. Apart from the fruit show, there was also a tram ride! 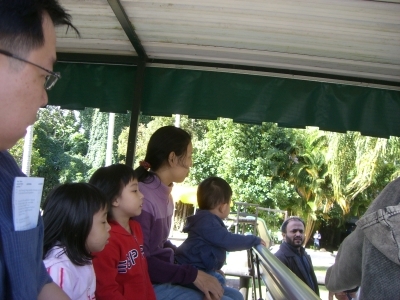 And surprisingly, somewhere tucked in this farm, was an entire advanture area, where they had mini train rides, a boat ride, a small animal farm, etc! We took the tram ride to get deep into the farm. 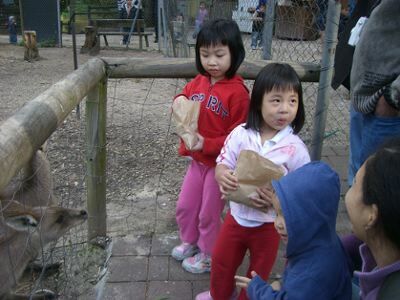 The kids feeding the kangaroos, wallabies and emus. 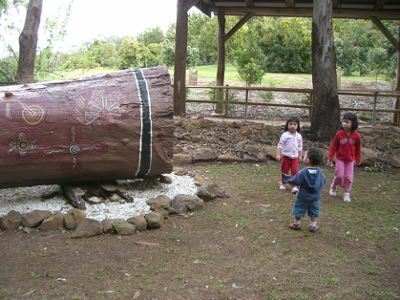 Huge fallen tree log, which had bee hollowed out to be a dijeridoo. 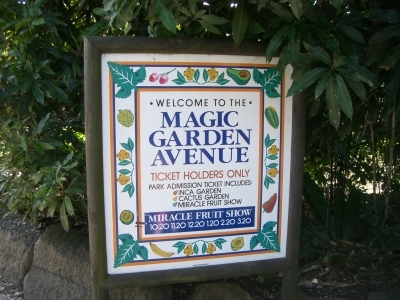 We would like to know if this tropical fruit world is worth to go. For a family with 2 elderly and 2 young child ( one is eight and one is four ? The place is not too bad. You can give it a try. We enjoyed ourselves.